Hai there......How is you all doing? I am here to share an altered project with you, my friends. Here is a step by step picture tutorial, made for ITSYBITSY blog as my DT project. 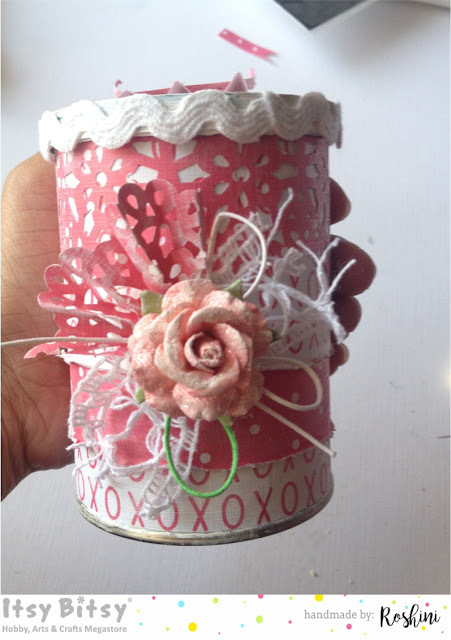 we also have the ongoing challenge this month.do check out and join us there. 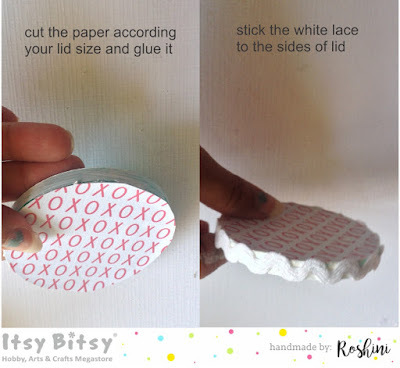 Meanwhile enjoy the tutorial, be patience it is a picture heavy post. 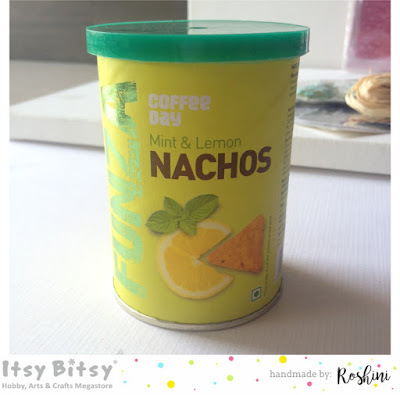 Step1: This is the tin I have used to alter, the yummy nachos from the coffee day shop. 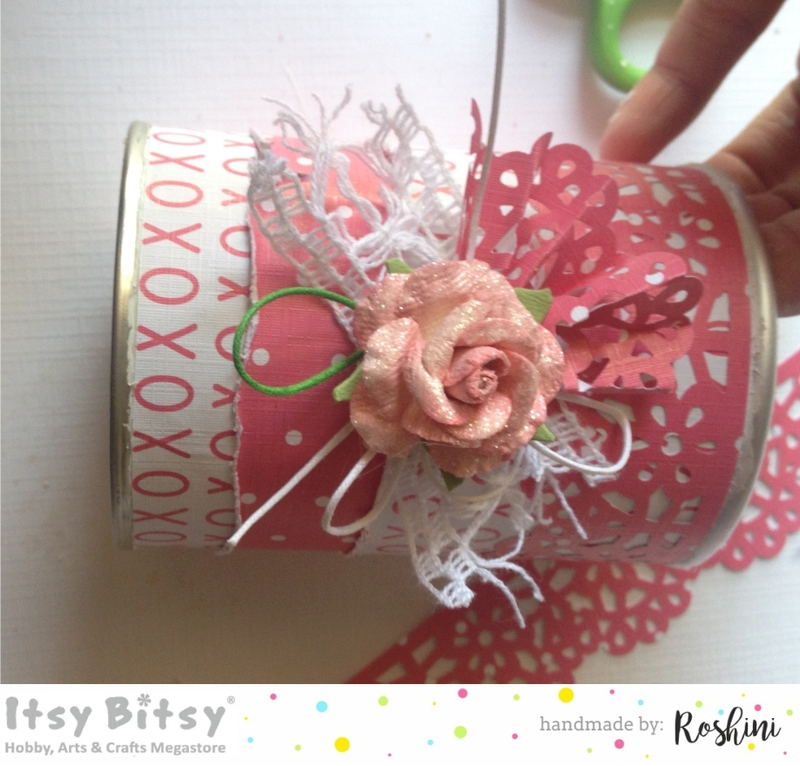 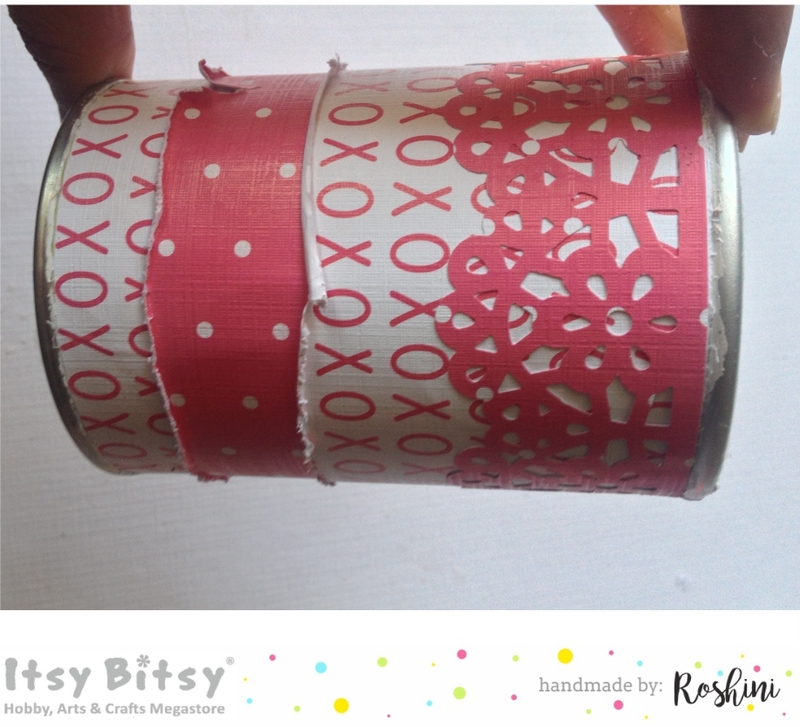 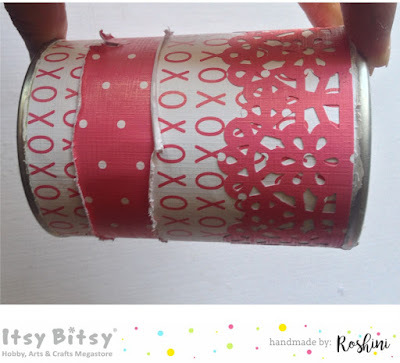 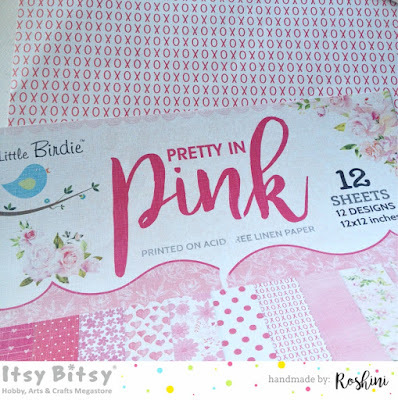 Step3: selected the papers from Pretty in pink paper pack from Itsy bitsy store. 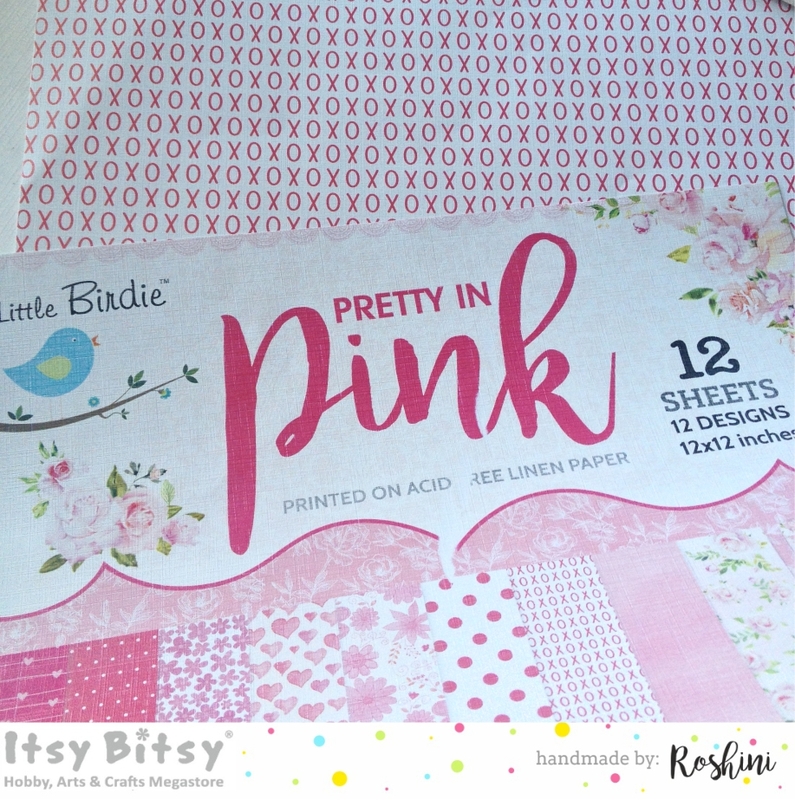 Step5: Cut the Contrast Color papers 1.5 - 2" lesser than the base paper and glue it down as shown below.smudge the edges of paper a bit to give the rough edge look. 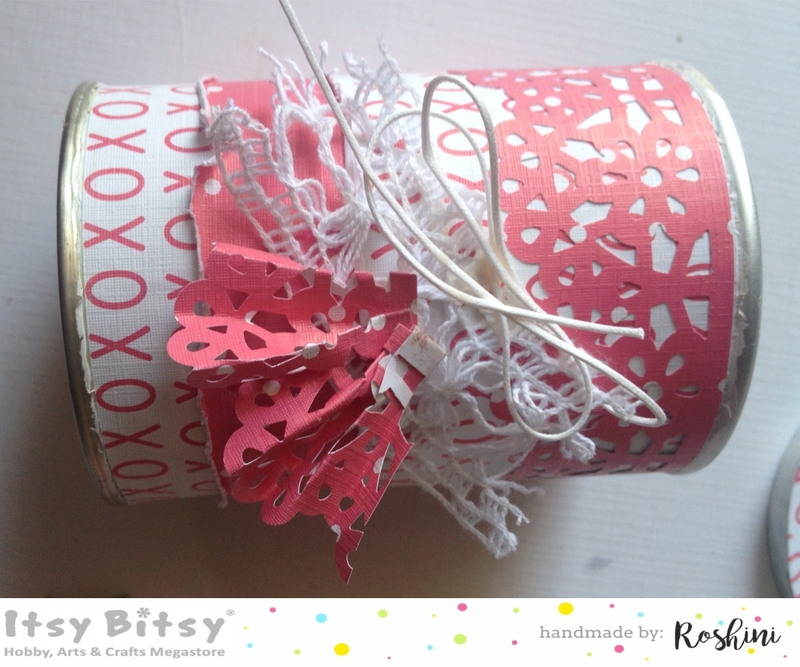 step5: Arrange the cord, lace and punched paper scrap as shown below. 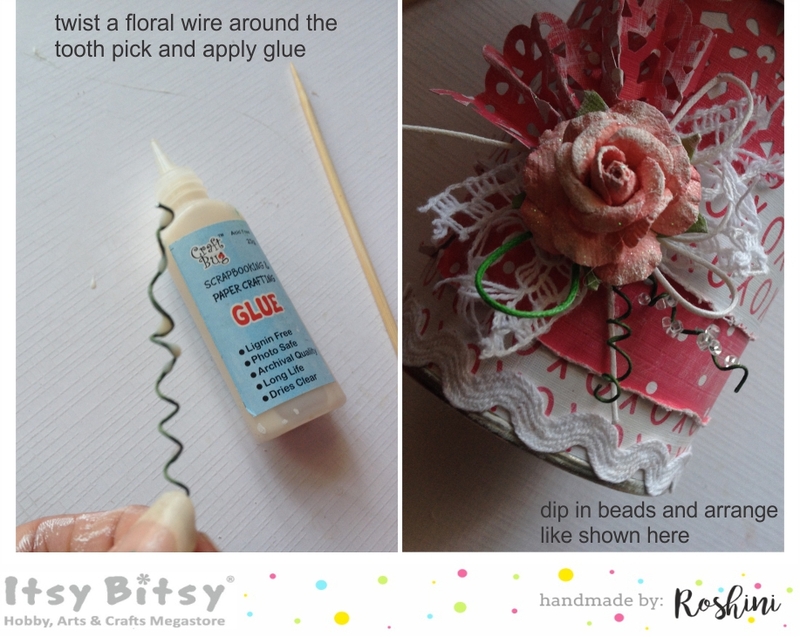 Step7: used floral wire as veins in the arrangement. 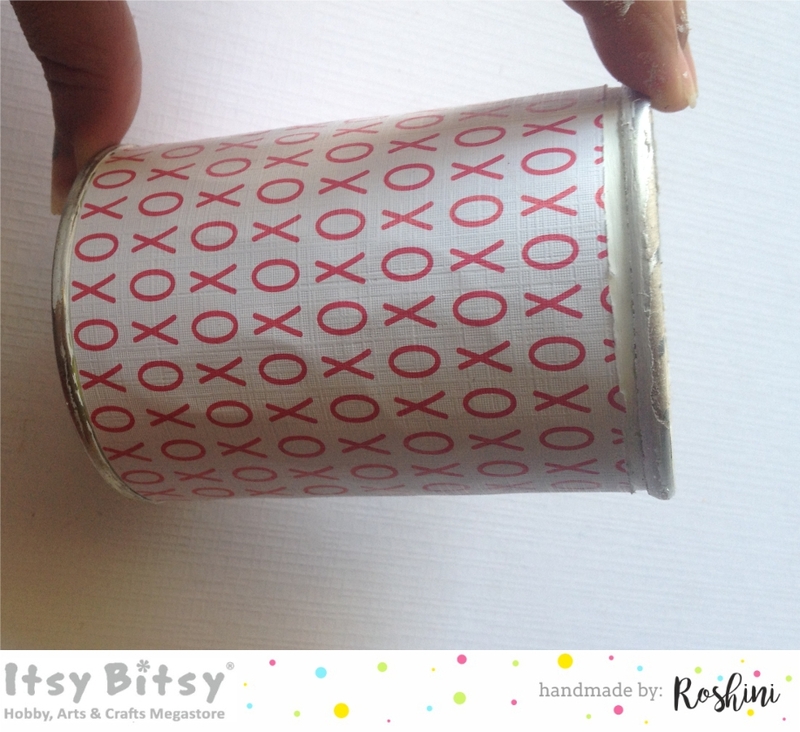 step8: now glue the paper to the lid of tin according to the lid size as shown below. 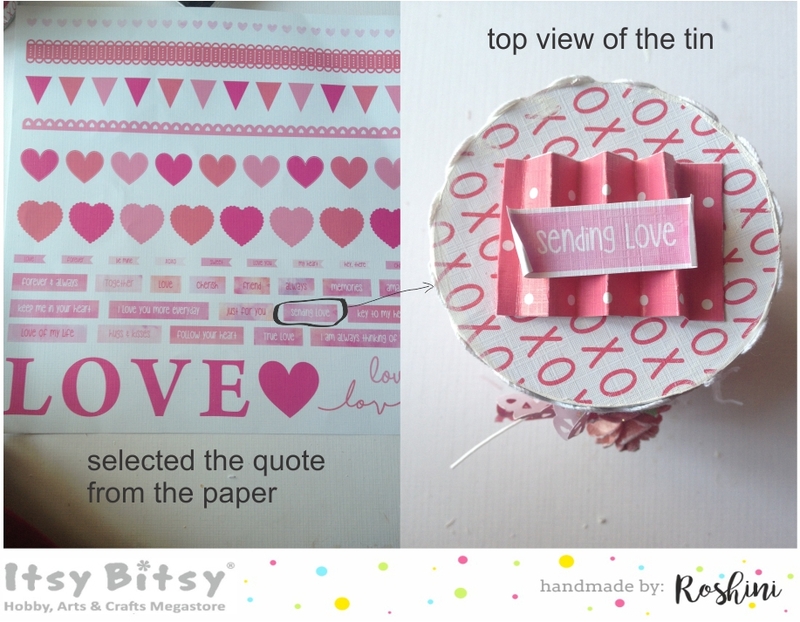 Tadaa....... finally it's done.... cute in pink, ready to send some love filled candies and gifts in the box. 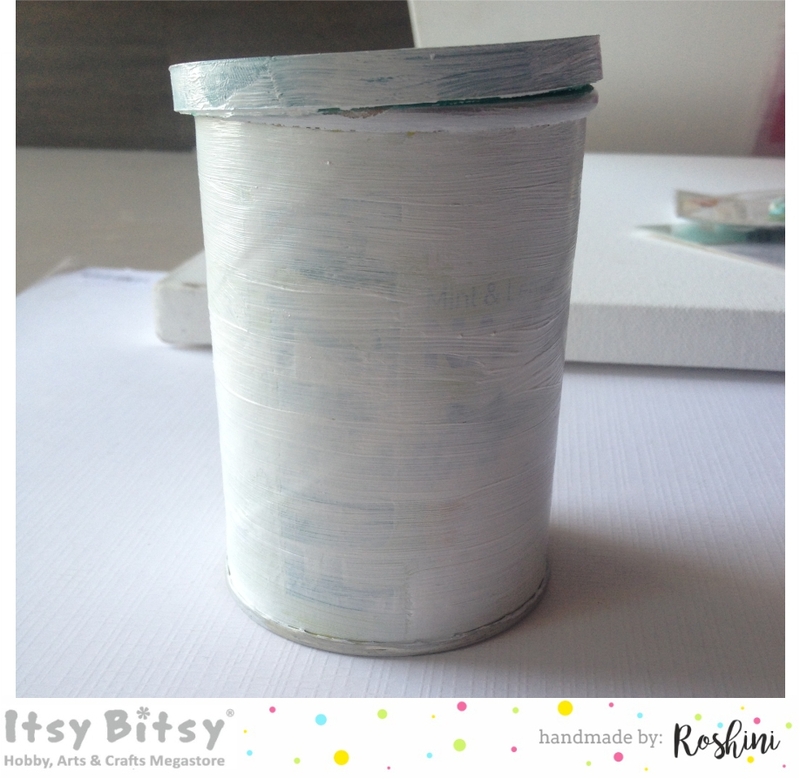 Check out the Itsy bitsy blog for all details and link to the materials used for this project. 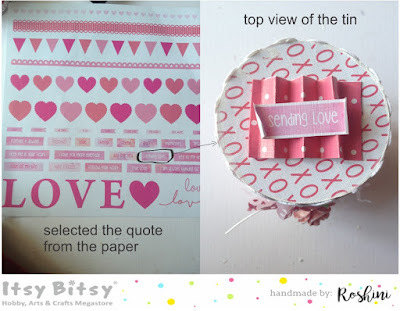 Thanks for stopping by..leave some love if you liked my work..
Do follow me on all social media platforms.You can find all the links top right of my blog.